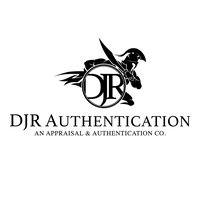 Thank you for choosing DJR Authentication. We meet with our on-site clients in the Sweetgrass Landing Clubhouse & Business Office, 1100 Legends Club Dr in Mt Pleasant, off of 17N, near Park West and Charleston National. Please be sure to bring all relevant paperwork and packaging, that accompanies the item(s), to your appointment. For service prices and info, please visit djrpro.com.